This past Sunday I set up at Burlington Toy Show, mostly to hang out with friends and eat food that's not good for me but also to hopefully earn some money for next week's Mego Meet toy show. 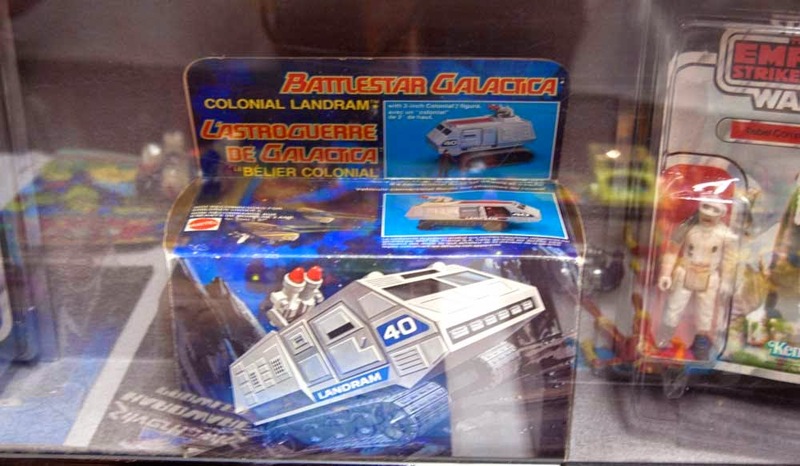 It was hard being good but I took photos instead of buying, above is easily the rarest toy at the show, a boxed Battlestar Galactica Land Ram. Way, way out of my price league but so nice to see. 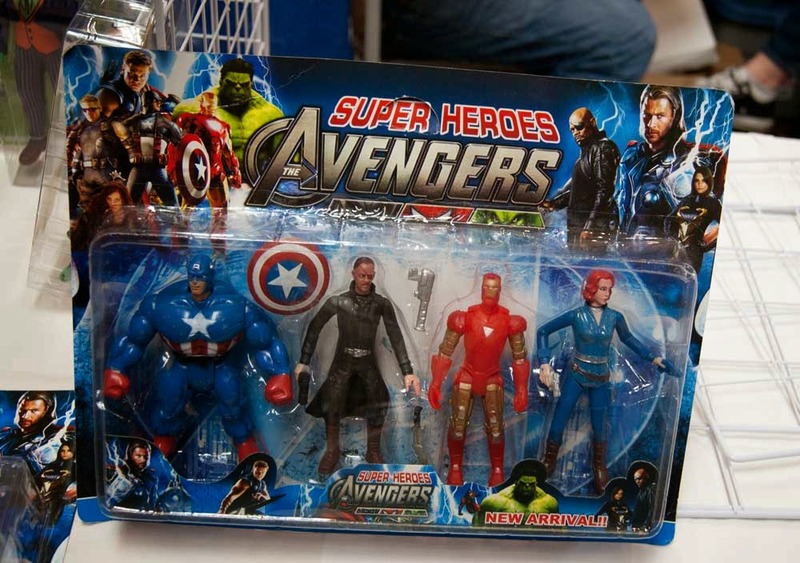 This bootleg Avengers set wins most "awesome" toy I saw all weekend, in addition to being just weird, there is also a random shot of a woman cos playing as Ms Marvel on the card. Glorious. 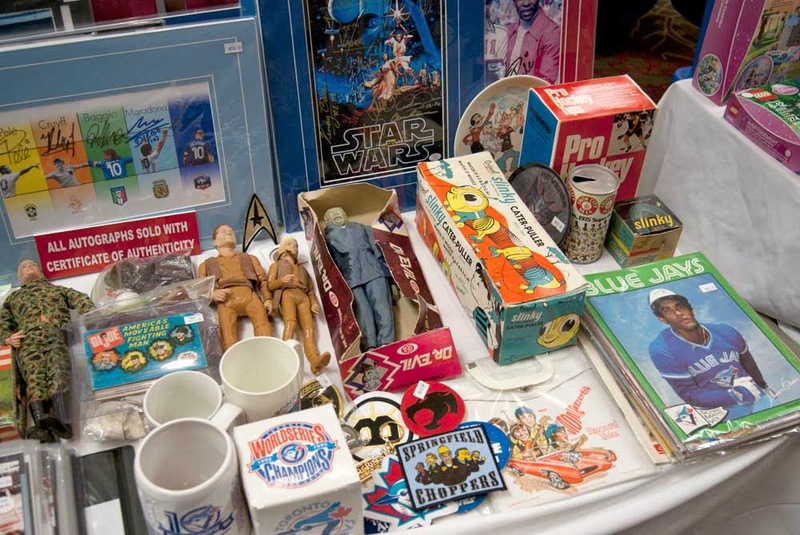 There was vintage Mego all around me, which is of course, bad for a guy trying to save money to go to a Mego Convention! Agghhhh! 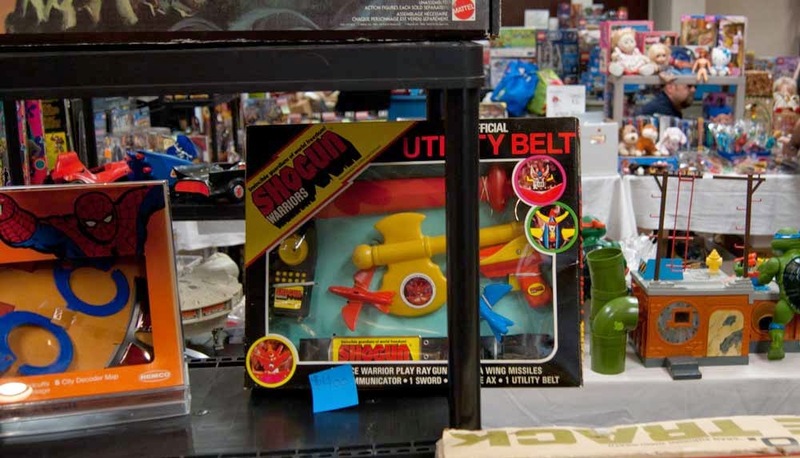 And of course, I was RIGHT next to door to this, the Shogun Warriors utility belt and it's very easy to work with vendor. I'm happy to say I do some will power. I'm not the world's biggest Captain Action fan but I have to admit seeing a photo boxed Dr Evil was surprisingly tempting. Plenty more photos and coverage of this event at the Plaid Stallions Facebook page. Also, don't forget that the tenth annual Mego Meet toy show is this weekend, it has a customs contest, exclusive figures and toys, door prizes, a customs auction (featuring original creations spun off from Brick Mantooth) and the most Mego centric dealers room available. 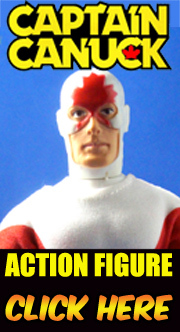 For more information visit the official Mego Meet facebook page. Yikes -- poor Cap has to go on a diet! Those are some beautiful items. I really like the Shogun Warriors Utility Belt. Right now I have a Shogun Warriors Colorforms set on the way (from Ebay). It will go nicely with the huge Gaiking figure I've had since Christmas 1976.